Two wildly talented individuals will be hosting Saturday Night Live in March. NBC announced that on March 2nd, John Mulaney will return as host for the second time with musical guest Thomas Rhett. Then on March 9th, Idris Elba will take the stage with musical guest Khalid. 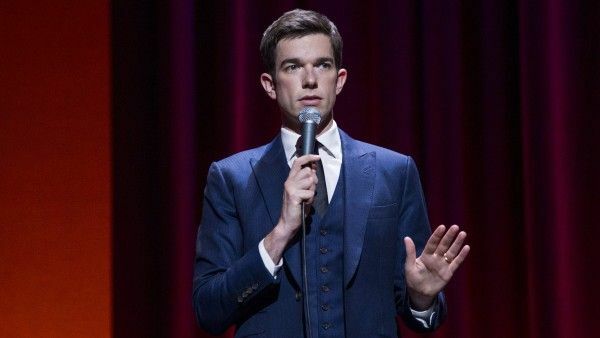 Mulaney was a longtime writer for SNL who’s probably best known for writing all the Stefon appearances with Bill Hader on Weekend Update. After a short-lived sitcom, he’s now become one of the most popular standup comedians around, and he returned to SNL to host for the first time last April. He’s back again in March, and I can’t wait. As for what he’s promoting, it’s likely the third season of Documentary Now!, for which he serves as a writer and producer. He co-wrote the episode Co-Op with Seth Meyers, which is a parody of the documentary Original Cast Album: Company and is a full-on musical starring Mulaney, Richard Kind, and Paula Pell. Elba, meanwhile, will be making his SNL hosting debut. He’s likely promoting his Netflix series Turn Up Charlie, which he stars in and produced and which revolves around a struggling DJ. The show premieres on Netflix in March. As for what we can expect from Mulaney, I’ll leave you with this glorious sketch he did when he hosted last year, which was written years earlier when he was working on SNL but never previously made it to air.